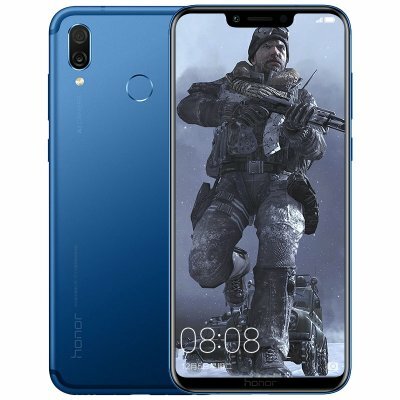 Successfully Added Huawei Honor Play Smartphone - 6.3 Inch Screen, 6GB RAM, Octa Core, Dual AI Camera, Fingerprint, Support Micro SD Card to your Shopping Cart. The Huawei Honor Play is a 6.3-inch display with 19.5:9 aspect ratio and a 'notch', a HiSilicon Kirin 970 SoC, up to 6GB RAM, GPU Turbo technology, and more. Also comes with a '4D' gaming experience with real-time recognition of the game scene that vibrates the phone to match. As for the GPU Turbo tech, it as a hardware-software feature that boosts graphics performance of the smartphone. Additionally, the Honor Play runs EMUI 8.2 based on Android 8.1. In terms of optics, the Honor Play sports a dual camera setup with AI features. It has a 16-megapixel primary lens with f/2.2 aperture and PDAF, and a 2-megapixel secondary lens with f/2.4 aperture. At the front, the smartphone has a 16-megapixel camera with f/2.0 aperture. The Honor Play is equipped with 64GB of inbuilt storage, expandable via microSD card (up to 256GB). Connectivity options include 4G VoLTE, Wi-Fi 802.11ac, Bluetooth 4.2, GPS, and USB Type-C. Sensors onboard the smartphone are an accelerometer, ambient light sensor, gyroscope, and proximity sensor.